The site was a compact greenfield site with a protected hedge to the northern boundary (allegedly mentioned in the doomsday book) and a waterway to the western boundary, which presented some issues with access. 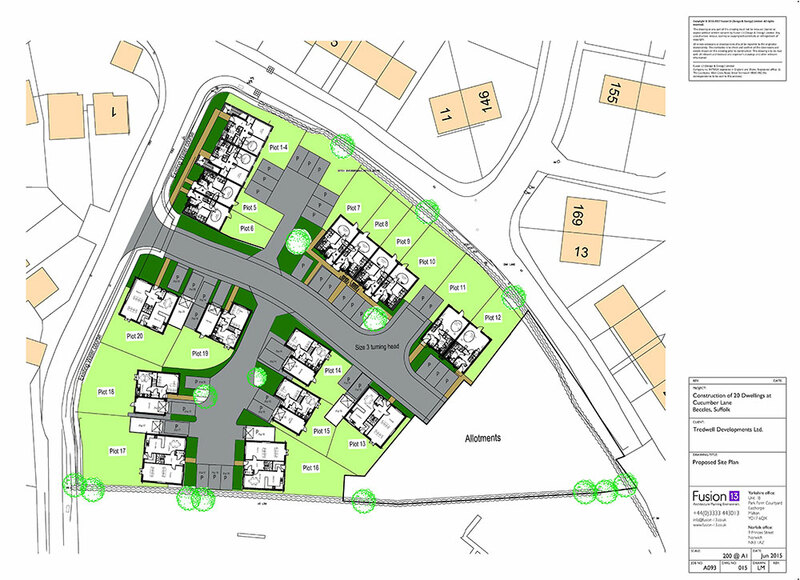 The site had been allocated for housing with allotments of 0.12 ha for the development and the wider community. 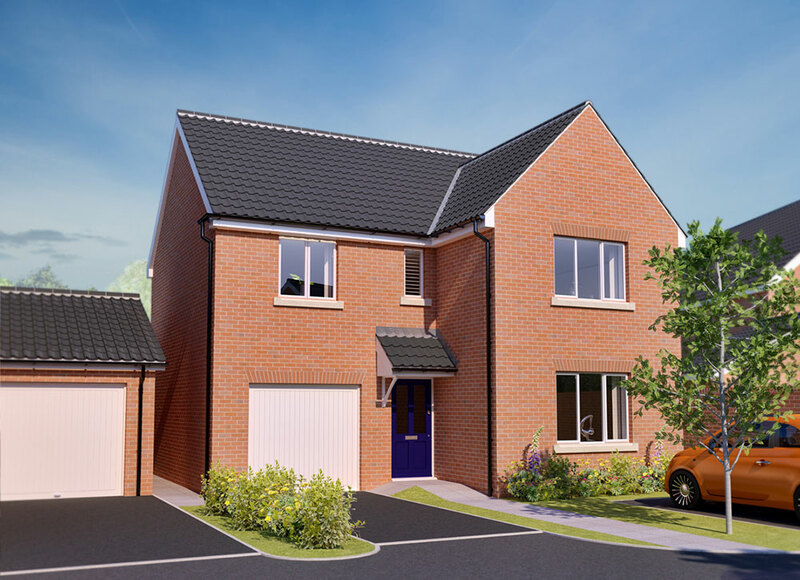 The development comprised of eight private detached three and four-bedroom houses all with garages and 12 affordable dwellings comprising two-bedroom flats and terrace and semi-detached two and three-bedroom houses. Fusion 13 produced a ‘fabric first’ specification rather than relying on technology to suit the needs of the client. This approach also benefits the end user with lower energy costs.